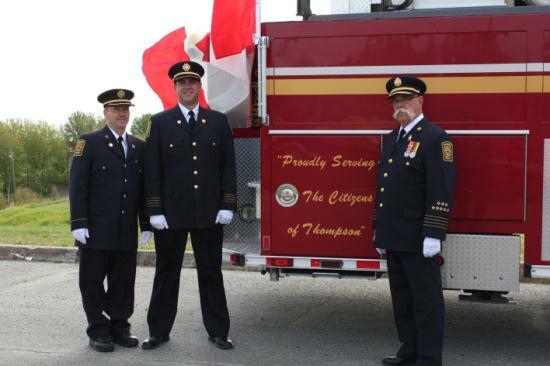 Thompson Fire & Emergency Services (TFES) operates 24 hours a day, 7 days a week providing fire protection and emergency medical service to the city and surrounding area. To achieve this, a compliment of twenty-four career Fire Medics and five Emergency Medical dispatchers. We have one Senior Communication Officer who overlooks the dispatch aspect of our service. The remaining 4 EMD dispatchers are divided into 4 platoons, each platoon working a schedule of two 10 hour day shifts, two 14 hour night shifts followed by four days off. In case of incidents requiring additional manpower, off duty firefighters and nineteen auxiliary firefighters are contacted. 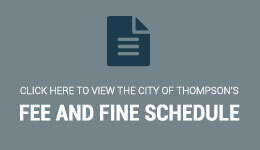 To serve and protect our citizens and make Thompson a safe place to live and work. To protect life and property, from fire or any other endangerment, including public awareness.